Little Caesars Pizza was founded by couple Mike Ilitch and Marian Bayoff in 1959 in Garden City, Michigan, a suburb of Detroit. 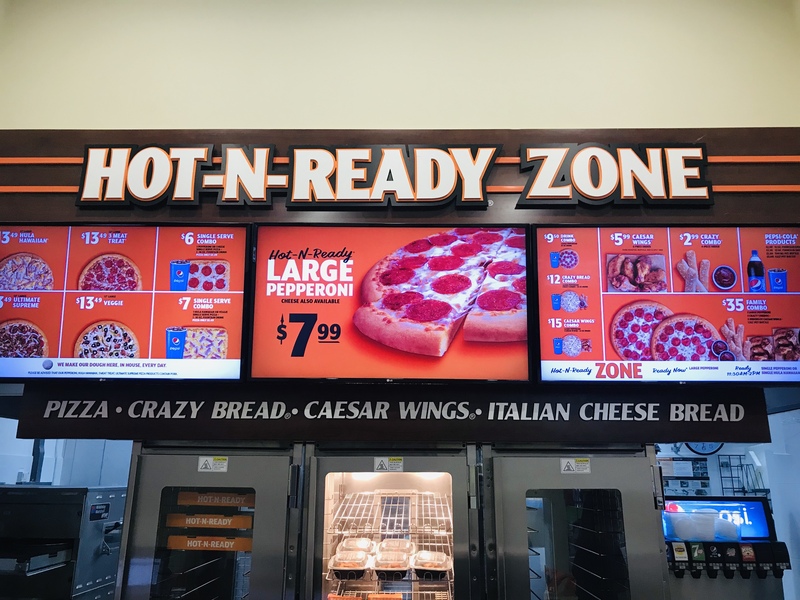 Little Caesars Pizza became the largest carryout-only pizza chain in the United States and the world’s third largest pizza chain after Pizza Hut and Domino’s Pizza. But I definitely don’t see any sign of its overwhelming success when I chanced upon the empty Little Caesars Pizza restaurant in Collyer Quay. To be honest, the big poster advertising $7.99 Hot-N-Ready Large Pepperoni was the only thing that drew me in. 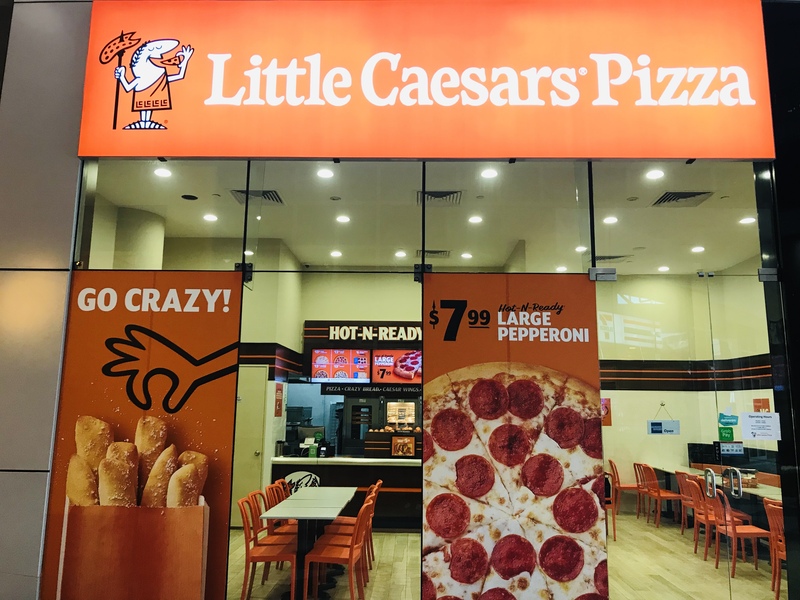 Little Caesars Pizza serves pizzas, caesar wings and Italian cheese bread. There are 4 pizzas to choose from: Hula Hawaiian, 3 Meat Treat, Ultimate Supreme and Veggie – all at $13.49 per 12-inch pizza. 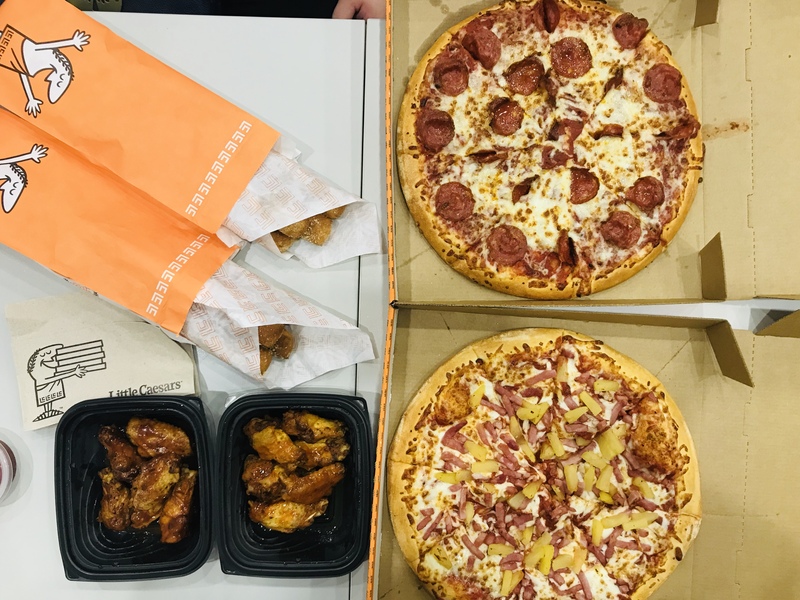 There are a variety of combos available to choose from, from Drink Combo [$9.50], Crazy Bread Combo [$12], Caesar Wings Combo [$15] to Family Combo [$35]. 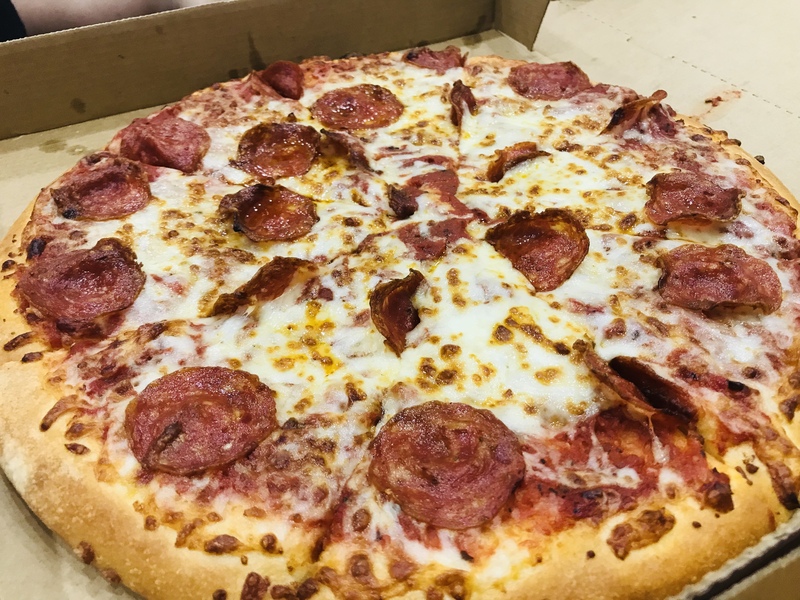 Pepperoni [$13.49] is an all-time American classic pizza but it is not as popular in Asia. Pepperoni is an American variety of salami, its soft texture and smoky flavour works well on pizza. I really like the soft and chewy pizza dough which is made in-house everyday. It is a simple and classic pizza that never gets old. 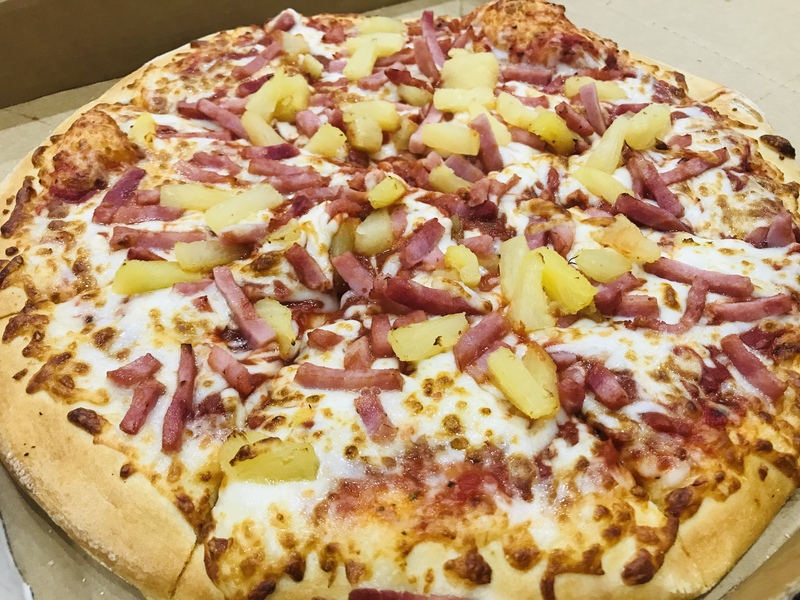 Hula Hawaiian [$13.49] is and will always be one of my favourite pizza. The combination of pizza and ham with oozy cheese on top of housemate pizza dough is very addictive. This pizza is a crowd-pleaser among all generations. 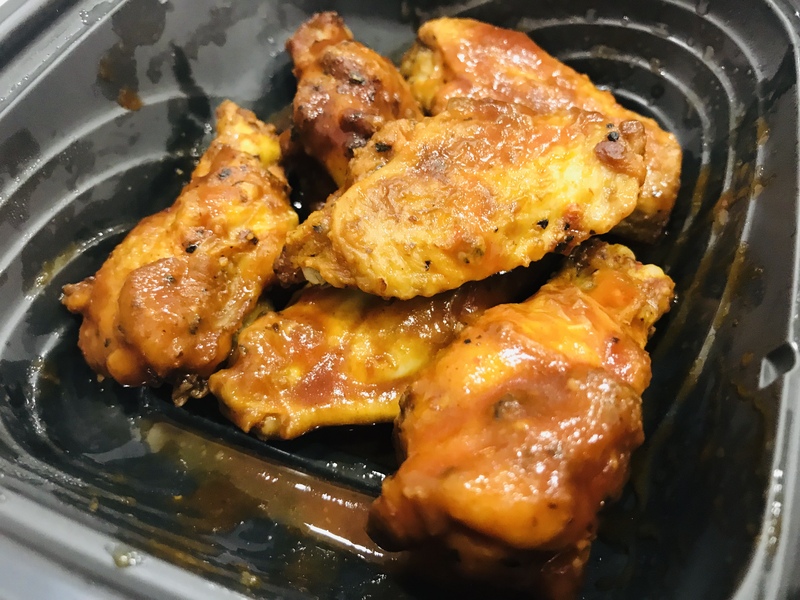 Caesar Wings are nice … but there is nothing special about them. 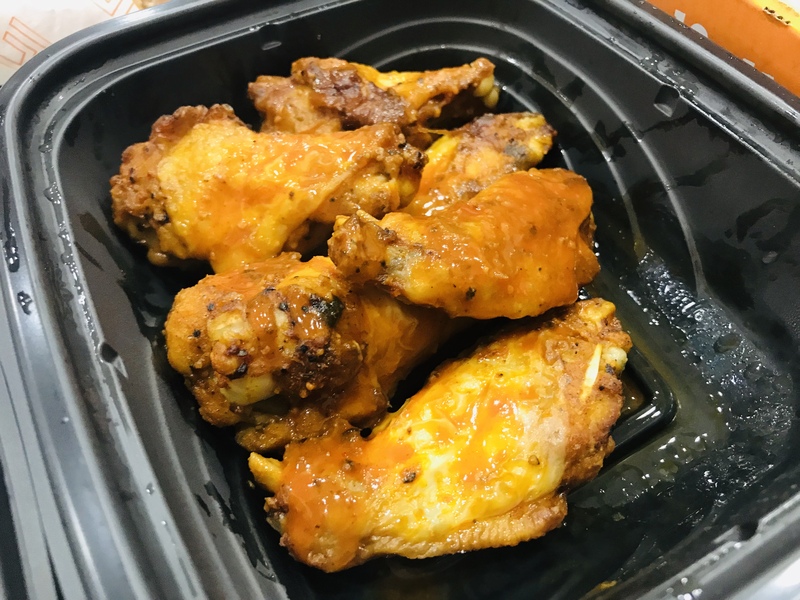 There are a few sauces to choose from but they are basically just buffalo wings with sauce. The Italian Cheese Bread gave me a pleasant surprise. These chewy breadsticks are really addictive, especially with the sprinkle of cheese on them. If you are looking for quality pizza with great price, I recommend that you give Little Caesars Pizza a try. 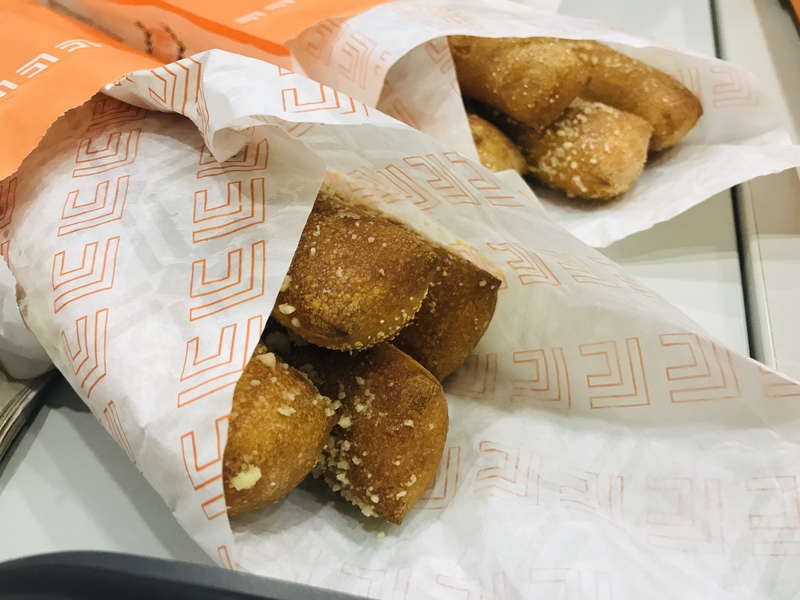 Don’t forget to order the Italian Cheese Bread, I promise you will not regret. You can also order your pizza through Deliveroo but “Little Caesars Pizza isn’t currently accepting orders”.